Audi CEO Rupert Stadler speaks at the company’s annual news conference in Ingolstadt, Germany. 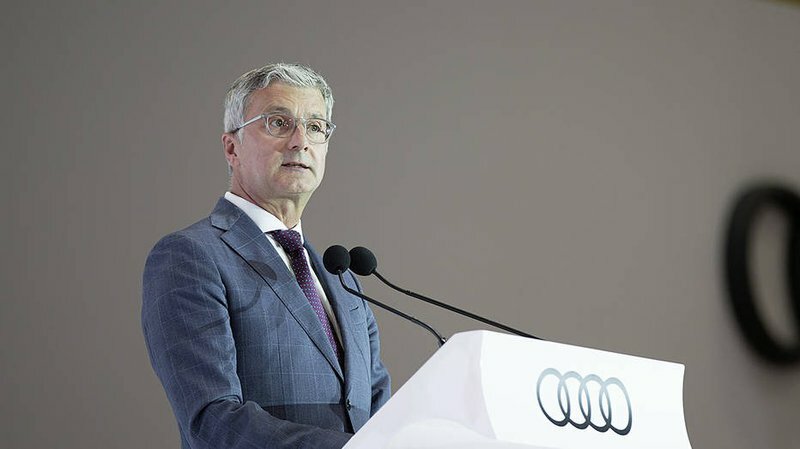 Audi chief executive Rupert Stadler has been arrested on suspicion of fraud in connection with parent company Volkswagen’s ‘dieselgate’ emissions cheating scandal, German prosecutors said on Monday. Prosecutors said the arrest was justified because of the risk of concealment of evidence. Stadler’s arrest is the most high-profile yet in the dieselgate crisis, which started when the Volkswagen group admitted in 2015 to equipping some 11 million diesels worldwide with defeat devices designed to dupe pollution tests. Present boss Herbert Diess has been accused of knowing about diesel cheating before it became public, an allegation rejected by the firm last month. The scandal has so far cost the VW group more than 25 billion euros (an equivalent of $29 billion) in buybacks, fines and compensation, and the company remains mired in legal woes at home and abroad.